Say you're at an airport terminal waiting for your flight. You decide that you want to listen to some music, and as a true music lover, you owe it to yourself and the artist to accept nothing less than an Excellent Listening Experience. Consider: you'll need a stereo. An amplifier powering a paired set of speakers, preferably with some big drivers for proper bass extension. You'll need power, so maybe you can ask someone to unplug their iPhone from the wall. Also, you'll need them to shut up. Matter of fact, you're going to need everyone in the terminal to shut up. Cease the overhead announcements and mute the TVs at the bar. Even if you've managed all this, you still have the problem of acoustics. All those hard surfaces in the terminal are reflecting your sound waves back, muddying the soundscape. Say goodbye to clear mids and transients. Things are looking grim, but then you remember a wonderful thing: headphones exist. They command the outside world to be silent. They remove the liability of a poor acoustic environment from the equation. 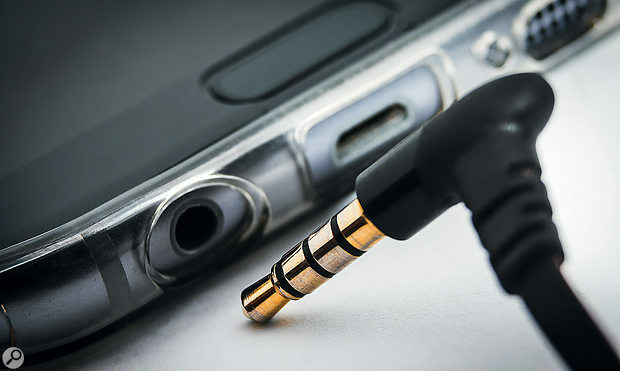 They're energy-efficient, so they can be driven by the device in your pocket, which has easy access to most of the recorded music in history. Now say you've got a home studio. You decide you want to make some great records. Like most people who record and mix at home, I've gone through the steps of buying monitors, speaker stands, and isolation pads, building acoustic panels and bass traps and hanging them at jaunty angles from the ceiling. It's a harrowing journey trying to turn a cube-shaped room in an apartment building into a listening room suitable for mixing a quality record. It's an adventure worth taking, to be sure, but I would have taken a detour. If I could talk to my younger self, I would grab me by the shoulders and say, "Young man, go get a pair of quality open-back headphones, and learn to love them." Only fairly recently have I discovered how liberating it can be to trust a pair of great headphones. I was driven to this conclusion by my neighbours. We share a wall, and they had noticed sub‑bass frequencies had no trouble passing through this wall. They forwarded this concern directly to the police, unfortunately. I was genuinely afraid this development would hamper my career. I couldn't afford to get evicted, and I couldn't afford to not make music. Things were looking grim, but then I remembered a wonderful thing: expensive headphones exist. For less than $500, you can get your hands on 'phones that expose detail and dynamics on a level approaching the finest monitor systems. These headphones don't care that your neighbours are light sleepers. They don't care that despite your best efforts, your room is still an acoustic nightmare where whole swaths of frequencies build up and cancel out depending on your listening position. I can almost hear the message boards voicing their protest. Something about "You can't mix on headphones." This is objectively nonsense. Tell that to the young music lovers about to create the future of music in their bedrooms. Tell that to anyone who needs the cheapest, fastest path to honest monitoring. Go ahead and tell me I'm wrong. I'm wearing headphones, though, so I can't hear you.